Sure, I know that shouting on the street corner about End Times is not the most effective way to invite people into HIS Story. Most of those explicit, in-your-face methods just aren’t well received, especially when you aren’t contextualizing the message for the audience. Taking an almost literal “spray and pray” approach to evangelism isn’t for me in general. But there was one little tactic that I never really thought of as a similar “active attack” methods, but did get revealed the other day when someone came over to meet and wanted to connect to my wireless router…so in a way, here’s a confessional for two things that I have done, and I still do from time to time — to poke, prod, provoke some unwitting people to think twice when they come across these messages. 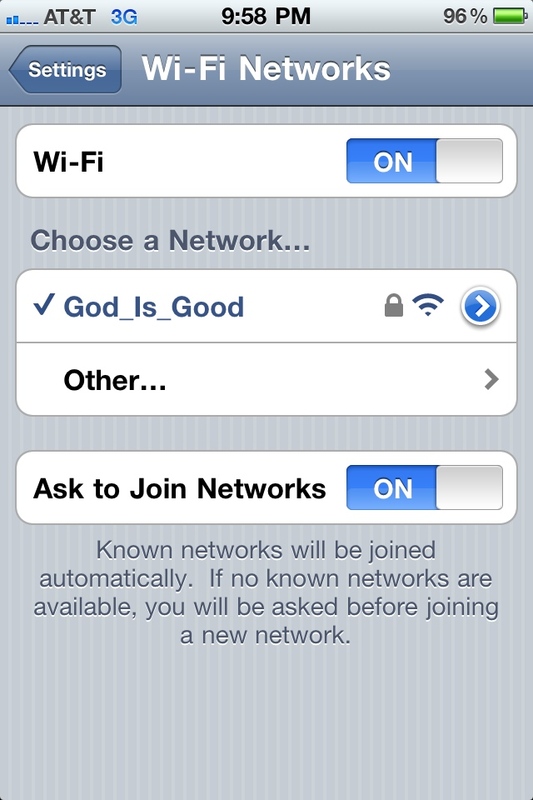 You might think of them as “Wireless Evangelism Tactics,” perhaps? You decide! Have you ever set-up a network and named two printers on the same network like “Batman” and “Robin” or “Kenny G” and “Jimmy Hendrix” (because Kenny G is all about a smoooooth experience and Jimmy Hendrix is always jammin’!). . .having some fun with what you name your devices? Well, for one of the routers in our building that happens to be the strongest signal and most reliable, I decided to name it something that we say all the time. . .
As someone that has rented more than my fair share of rental cars, trucks and vans when traveling or even around town, I like to turn on the radio and listen to contemporary Christian music sometimes. So it’s relatively easy to find the local CCM radio station in a given city and turn the dial to it. The extra step I take is to just HOLD DOWN one of the radio preset buttons down till it beeps. Yup, that’s usually how you set one of the preset buttons on the radio. Simple little step so that every time I get back into the car, I can hop right to the local CCM station I was enjoying the last time. But I realized that setting one (or two!) of those buttons just increases the chance that the next (few) customers that rent that same car will be exposed to the music “accidentally” too. Urbanization is a trend that isn’t going away anytime soon and the Church needs to take notice. That’s the Cliff’s Notes version of some discussions being held at the super-event, Lausanne Movement gathering in South Africa this month. Dr. Keller’s position on Urban Mission & Contextualization is quite sophisticated, given that it is a vision that has been 20 years in the making at Redeemer as well as through Redeemer City to City‘s church planting center. Keller of course has all the while been working to mobilize a movement within NYC right in his own backyard. p.s. Tim Keller’s latest book is being released Nov 2nd. Grab your copy of Generous Justice. QUESTION: Given this perspective on the mandate for urban mission, how can suburban & rural churches + laity contribute to this cause from where they stand? How Easy Are You Making It To Invite Friends & Family? …Kind of like the Superbowl of Christian faith. Holy Week. Lent. Good Friday. . . Easter. This is ground zero. Some ministries plan elaborate spectacles and turn the sanctuary into an open house environment this one time each year. This is definitely the easiest weekend all church members can invite a friend from work, school, family or even those strangers you have regular relationships with such as the security guard, bus driver, mail carrier, etc. 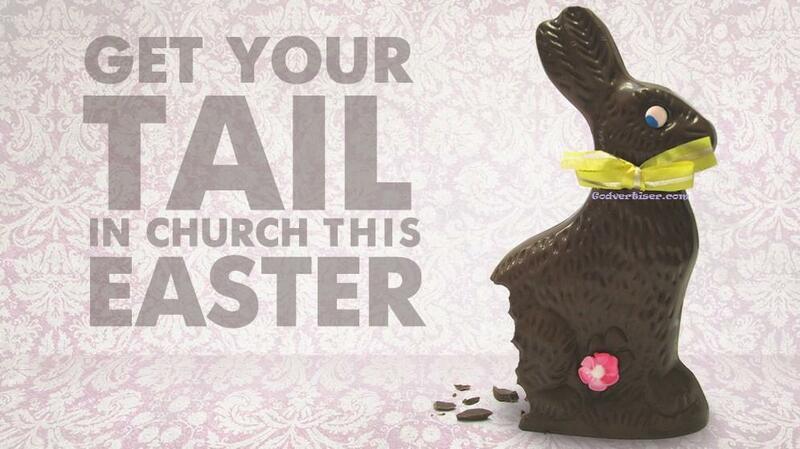 Why not take advantage of Easter claiming to be the happiest day of the year for Americans? Everything is in your favor. Besides using the major US holiday as an easy conversation starter, do your people have easy ways to describe your church? What style would you characterize the worship service to people who haven’t been to church in ages (or ever!)? How can people describe the lead pastor or the sermon messages? And are you aware of anything else people routinely have trouble with when bringing up church with friends or co-workers? It’s the little things that many people need help with — For example, the logistics of explaining service times, location, directions, etc can be daunting to bring up. The question of the day is: Are you doing everything you can to make it easy enough for people to invite a friend? It was a great reminder to invite someone to church. And the message on the back reinforced the simple message I can use to convey when doing so — which is aimed at helping to set expectations in an easy 1-2-3 format. 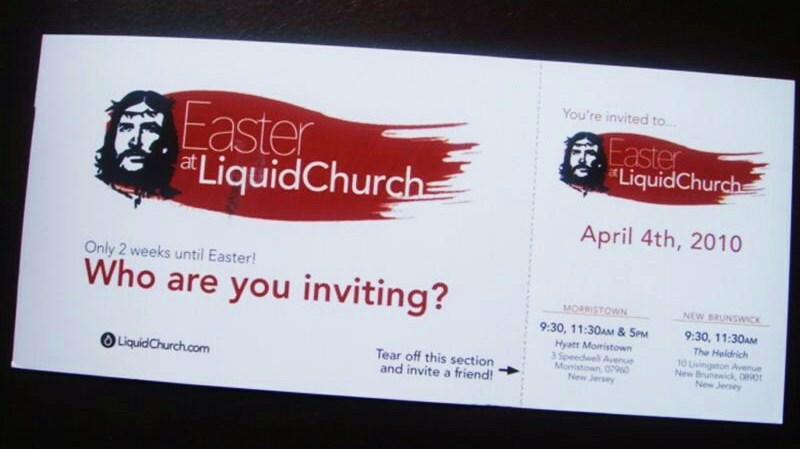 The card itself was perforated on one side with a pass-along mini-invitation card with all the basic information anyone would need to know about visiting Liquid. 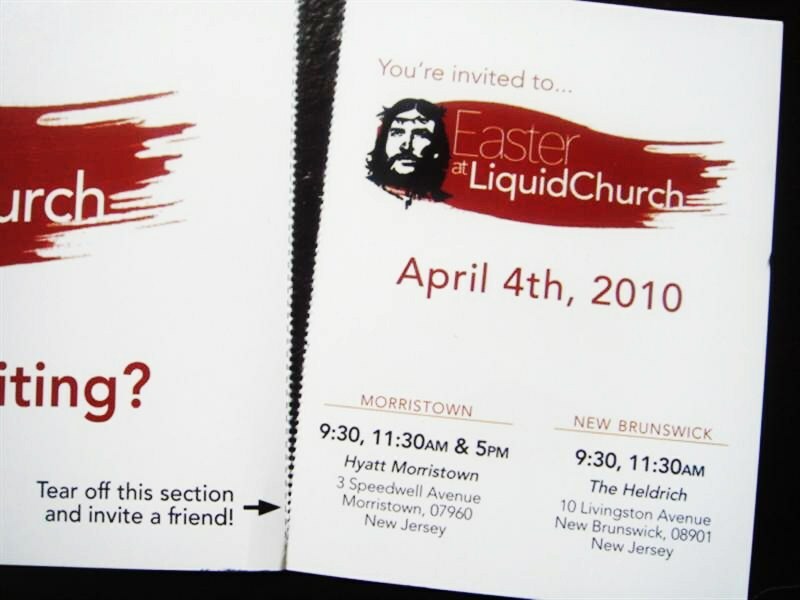 This is a 5-star example of making it easy for church members to go out and invite a friend to church. 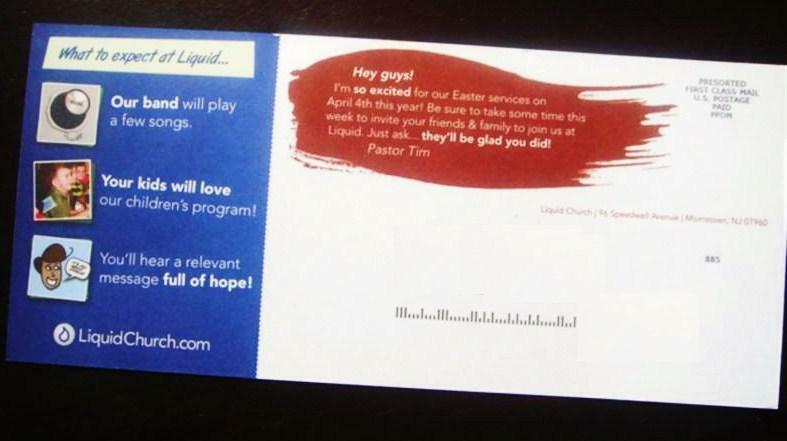 Successful outreach follows the classic word of mouth marketing strategies — and this church marketing piece serves to provide tools to make it easier for people to share the message with others. QUESTION: What does your ministry do to make it easier for members to invite others to church on Sunday? Would You Have Me At Hello? If I walked into your church today, just how many people do you think would have said “Hello” to me? Most churches think evangelism and visitor retention is a big deal. Churches create tactical plans, committees, strategy and more. 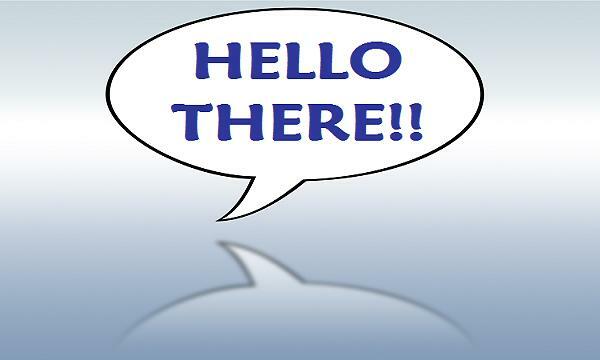 But the big secret is that it all starts with “Hello!” — Does EVERY PERSON in your church or ministry live this out? One of my randomization rituals entails taking one day a month and committing to saying hello to EVERY PERSON that I cross paths with throughout the day. Sounds easy, sounds silly, but it is actually pretty hard to do! Our culture and society (especially in NYC!) has become a society of strangers existing together. Just get onto an elevator full of people and you’ll understand just how close we can be with others and still never bother to say a simple greeting. If you are self-aware of this simple practice, you might be surprised at just how often you choose to look away, look at the floor, stay silent, or just simply walk right past people you do not know. Remember that culture is formed top-down. So your behavior is critical in influencing how others in your spheres of influence actually act. What’s more is that I’m willing to bet that if everyone in your church has a mindset to simply say “Hello!” or “Good morning!” or “Good afternoon!” or “Hi there!” to every person they personally see coming into the building, you’re attendance will change within weeks. Seriously. Do you yourself say “Hello!” to everyone you see at church? And what do you think about this one-word answer to visitor retention in your church? Please leave a comment below and share what you decide after reading this post. Love It or Shove It? If you look at the most successful salespeople in any industry, they are all diligent, focused and on point. They manage relationships well, they articulate benefits with clarity, and they always are moving to close the deal. The best of the best either love it, or they shove it. The love it crew love the product or service they are pitching. In this method, their credibility lies in the fact they fully understand what they are talking about. This crew can explain things in ways that are personally relevant to the person sitting across the table. Why? Because they use it, they live it, and in the end, they succeed because they simply share it. That’s how they gain more customers. The shove it crew doesn’t have any personal investment in the product themselves. All they are interested in is pushing the customer to sign on the dotted line whether it makes sense or not. They claim the product is exactly the medicine needed. “Our product will solve your problem,” whether you knew you had a problem or not to begin with! 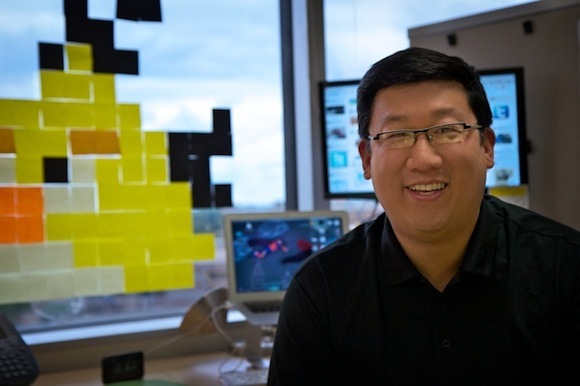 This approach is all about speed, agility, and understanding where any vulnerabilities may be located. The shove it sales pro’s mission is certainly to help. . . themselves! They see their own job solely as shoving the product down the prospect’s throats. Both can be quite effective. The question is which is your choice in doing the job? Especially when your job is to demo something that is all Good News. When An Aetheist Argues For Christian Proselytizing, Perhaps You Should Take Notice? Penn (of Penn & Teller) speaks his mind about the responsibility Christians have for sharing the Good News. Proselytize! No, don’t run out and get yourself a megaphone for the street corner. We don’t need Bible thumping maniacal representatives invading the public realm. Can you envision yourself making such a bold move,done in a way that keeps respect and integrity intact? Now, would you push someone out of the way of an oncoming truck to save his life? Would you? Really? I’m excited to join the vidcast tomorrow of Tim Keller and the Leadership Summit people over at Willow Creek. 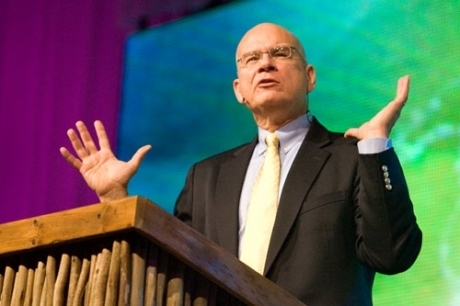 But in the meantime, take a look at this interview where Tim Keller talks about the 4 or 5 ways in which evangelism must be different today in order to be impactful. One of Dr. Keller’s key points specifically applies to urban centers, such as Redeemer’s setting: NYC. He talks about how critical it is for the Church to really provide the tools, resources, modeling and teaching to its people how to integrate their faith **in** their work. IMHO, he is spot-on in that cities tend to have more vocationally focused people (people who live to work, vs. work to live), so building out ministries such as www.faithandwork.org is quite mandatory if there is to be any impact. But the lesson can be applied to much broader applications. The Church today can’t just teach objective knowledge about the Bible. It can’t just focus upon spiritual praxis. It can’t just just provide moral teachings as well. Not anymore. When non-Christians are exposed to the Church’s message, they really need to see how it looks like if they were to step into the light. The only way to do that is to build communities where this intentional integration of the Gospel into vocation that Dr. Keller talks about is vibrantly embraced and highly visible. The new rules and approach to evangelism now take on a wholistic ministry approach. You do see that, right?